Dr. Donald Peters, the coordinator of the National Cannabis Committee (NCC) has reported that the NCC have been liaising with the Cannabis Commission of Massachusetts to look at the process and regulations of legalising marijuana. 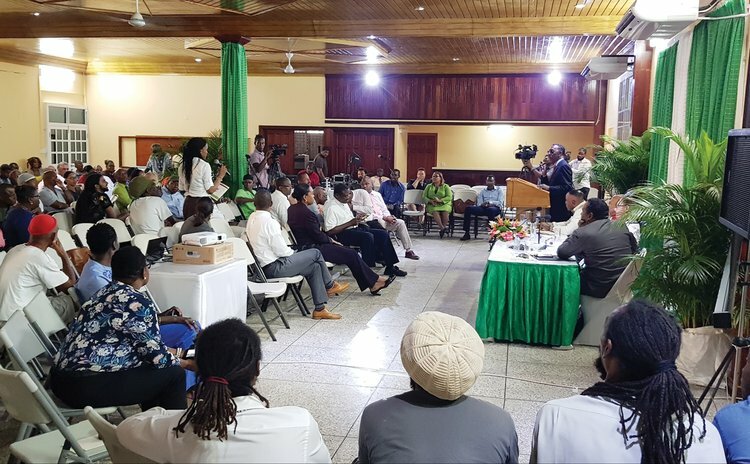 In November 2018 the NCC held the first cannabis consultation where it discussed with various groups perspectives on the topic of legalizing the use of marijuana in Dominica. "I was planning to hold another consultation in March just after carnival but that was just not possible because the place identified was not ready," Dr. Peters said. "We are also looking at the personal use of marijuana and also the legalizing the medical use of Marijuana. Also, we have reports on the sale of marijuana after that if we feel the need to further consult the public then we will." He continued, "We are still getting reports from the public. We have tons of information from Dominica and also the Caribbean. We also have to look at the legislation and plan a second consultation for April 2019. And we are working closely with the legal department from the Attorney General Chambers to get all those necessary things sorted out." Dr. Peters dismissed comments that that the NCC is all talk and no action. Dr. Peters said after the April consultations he plans to have further consultations and presentations from various local and international groups. Meantime, Rayburn Blackmore, the Minister of Justice, Immigration and National Security said discussions about cannabis are very important and timely. "We do not intend to remain asleep on this important issue of cannabis. Maturity dictates that it is time to have mature discussions on cannabis. The issue of whether we allow the use of medical or recreational cannabis has been and continue to be a burning topic," Blackmore said. He believes that one of the greatest interests is "the medical value of cannabis and how Dominica can maximize and draw from this fully". "We need as a nation to look at how cannabis can help us and also how cannabis can hurt us," he said. Meantime, head of the House of Nyahbinghi, Ras Imani Shaw, said that while other Caribbean countries have taken forward movements on the decriminalization of "the herb" Dominica is just talking. "We are saying that because of our peculiar situation as regards the herb and we have suffered for so long. The time is right that all government needs to do is go to parliament and pass the necessary legislation to leave us alone," Shaw said. He continued, "We are asking to be left alone to do our work. We have been vindicated, release us from the suffering, government and opposition are singing from the same sheet as regards Rastafari and the herb." "Leave as alone since we are using the herb as our sacrament…we don't see any need for consultation; it's a simple act of parliament, let amnesty reign in this time that people need to be stopped being prosecuted and persecuted for the herb," he said.